Soak Kavuni rice for minimum 6 hours. Wash the rice and transfer it to a pressure cooker and cook for 15 minutes. Let it cool down. Use a mixer grinder jar and grind to a coarse paste. If required, add very little water to grind. Meanwhile extract fresh coconut milk and keep aside. Similarly dry roast cashewnuts and keep it ready. Now transfer the coarse paste to the cooker again and heat it up. Add little quantity of water. 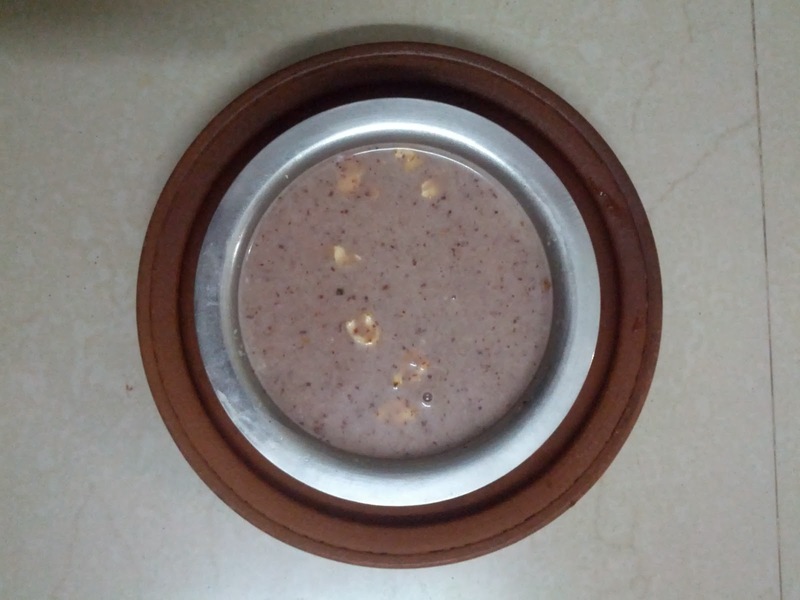 Add palm crytals or palm jaggery and stir till the jaggery dissolves completely. Turn-off the stove. Add coconut milk, cardamom powder and roasted cashew nuts. Serve hot. I learnt this recipe from ‘Isha Ruchi’ book. Remember to add coconut milk only when the stove is turned-off. Thanks Anitha. Please check out our other kheer recipes both cooked and raw and let us know your thoughts.